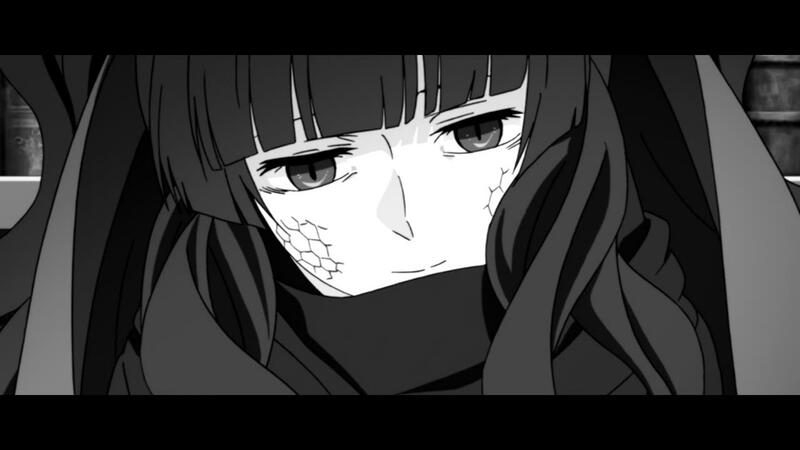 So, we have a goal – rescuing people, and an enemy, the Queen of Snakes, and The Monster’s mystery, and Mary is her host, set to take over this world, and Ene’s body is still here, and Ayano’s father is controlled by the enemy! What’s going on?! Well, time to see where they go with this, now that we finally have both conflict and direction. 1) Hm. The Mother-monster, calling her love “that idiot”, and acting all tsundere with worry. Come on anime, we don’t have to do it like that! We do see some facial expressions showing care. 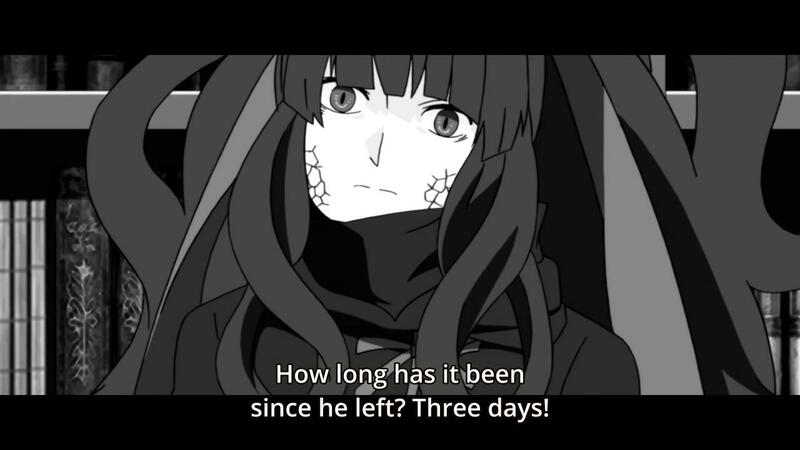 Her daughter, the half-monster and half-human, truly reminded one of Mary, didn’t she? And the episode’s title is Mary’s song, where she ends up abandoned in a house in the forest, so could she literally be the monster’s daughter, not just containing her spirit? Or rather, she has the spirit of the Serpent now.